Lightweight, stretchy, moisture-wicking power fabric keep you cool and dry. Banded crew neckline make sure it's stretchy and tag-free neck label offers you the maximum comfort. 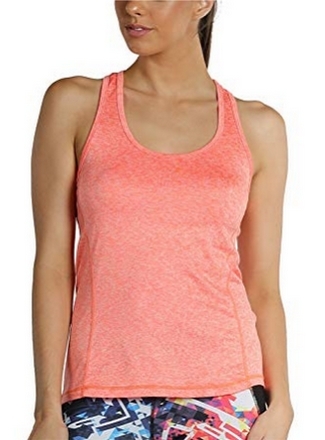 Heathered Workout running yoga fitness tank top.